Personal or household storage is the number one reason why people rent a self-storage unit. They may rent a storage unit to store seasonal items, or to store belongings during a home staging project. Self-storage is also a great solution if you are remodeling a home or working on home reorganization projects. If you are downsizing your home and will have less storage space, then renting a self-storage unit near your home is another great home storage solution. Life events such as marriage, empty nesting or moving a senior family member to a handicapped accessible apartment are also great reasons to rent a storage unit. Self-storage helps when you have little-to-no home storage areas for your items, but you want to keep them for future use or to pass on to future generations. It is a great way to store seasonal items such as lawn mowers, patio furniture, gardening items, seasonal displays and even vehicles. Homeowners can rent a self-storage unit to store children’s sporting equipment during the off-season or to store special school projects that you cannot throw away. Storage World provides a variety of home storage options for our customers. Storage World locations offer convenient and stress-free storage solutions for our customers. We have clean, well-maintained storage facilities that are well-lit and fully-fenced. Storage World facilities have climate controlled and non-climate controlled storage units in a variety of sizes ranging from 5×5 to 10×30. Our state-of-the-art secure storage features including video surveillance, facility alarm systems and keypad-gated entry provides our customer’s with peace-of-mind that their belongings are safe in storage. Our knowledgeable storage professionals have been trained to provide excellent customer service while helping customers fulfill their residential storage needs. 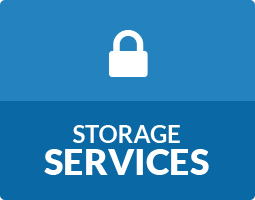 Storage World offers month-to-month leases that allow our valued customers the storage flexibility they need. Storage units can be accessed seven days a week between 6 am to 10 pm. Our office is open Monday to Friday 9 am to 6 pm and Saturday 9am to 4 pm and closed on Sundays. 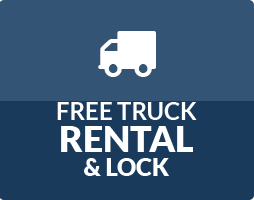 Stop by and take a tour of our facilities to see how we can help you with personal storage requirements by renting a self-storage unit that fits your needs. 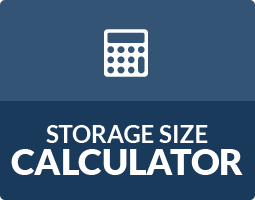 Each of our residential storage customers have unique storage needs. Self-storage needs could be short-term for a renovation project or long-term storage for things like military deployment or an out-of-state job assignment. Storage World facilities have moving and packing supplies to box up seasonal displays, excess kitchen accessories, or items in a room that is being renovated. We have all the packing materials that you need from boxes to packaging tape to newsprint and bubble wrap. Call or visit one of our three Atlanta self-storage locations today to see how we can help you with all of your personal and residential storage needs.